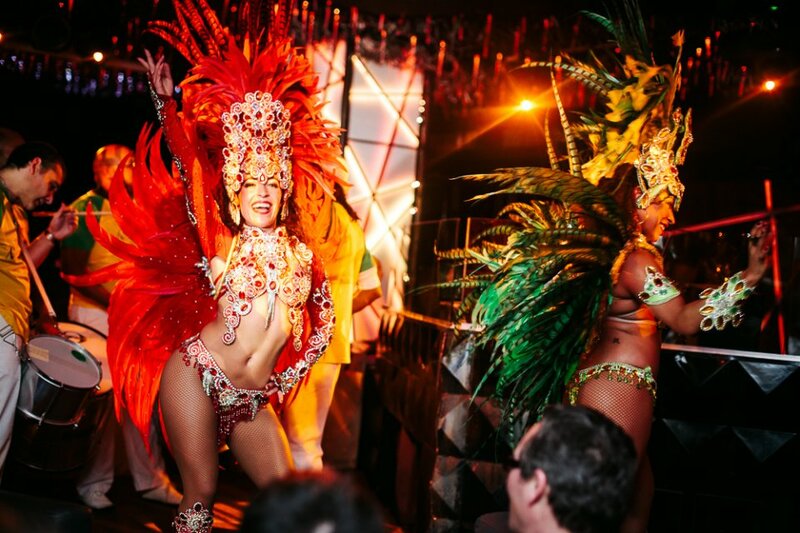 6 Times UK's Award Winner for "Brazilian Dance Performers of the Year"
Resident Act over the past 4 years at the BRIT Awards After Party bringing the colours, rhythms, energy and spirit of the Rio Carnival to London! 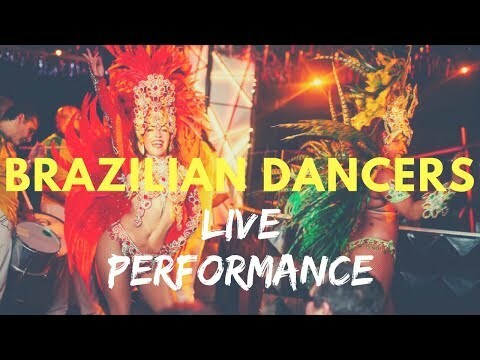 Acclaimed not only in the UK but all over the World, our Brazilian Dancers group will carry a feeling of elegance and prestige providing a very energetic performance featuring spectacular costumes and choreographed routines which will dazzle your guests getting everyone off their feet into the dance floor! 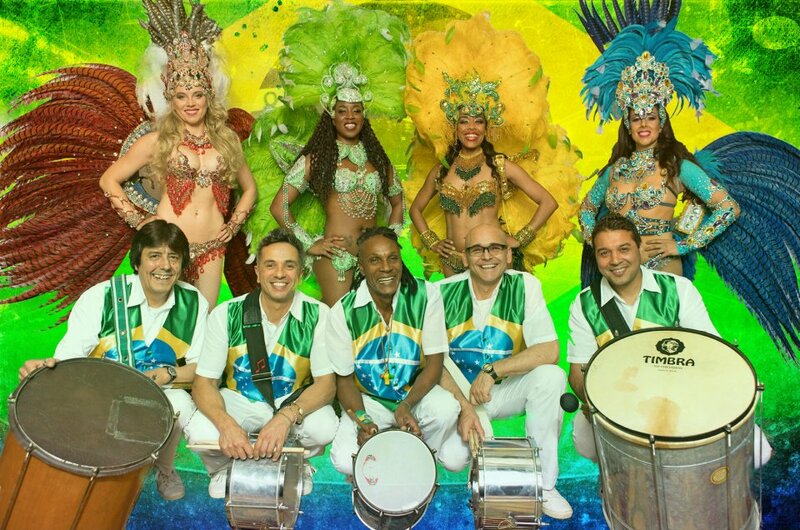 The show will give the audience an authentic taste of the Rio de Janeiro Carnival experience! Number of Reviews and Counting... 9! The Brazilian Dancers can perform to a backing track, be supported by LIVE Samba Drummers and/or feature a female Brazilian singer/dancer who will entertain the audience singing up tempo Latin & Brazilian songs as well as Latin pop and contemporary charts to quality backing tracks, making the overall performance lasting up to 60 minutes. A Capoeira Show can also be included within this performance. 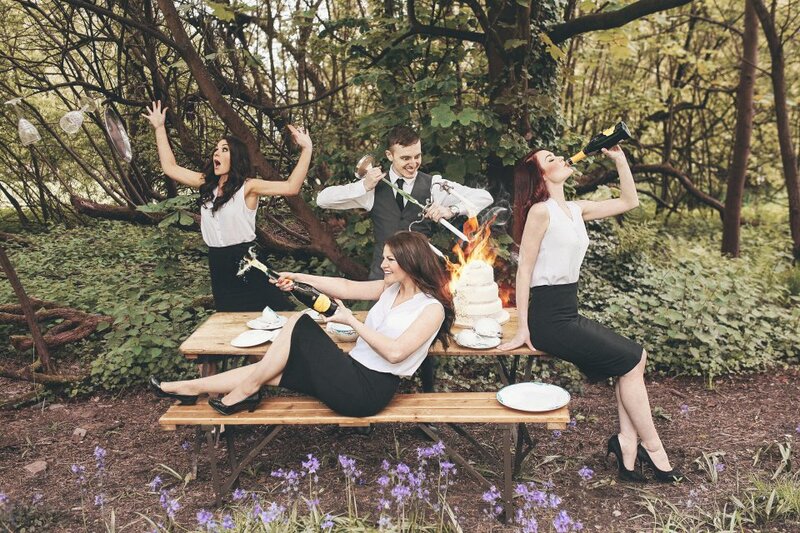 If you are planning your Brazilian Latin themed event then look no further! Celebrate with our Brazilian Carnival Dancers. Very happy with the service. Thank you. From the first enquiry all the way through to the end, everyone was very helpful. The girls on the night were amazing. Really got everyone up an dancing. I would definitely use you guys and book the dancers again. Thank you. Fantastic performance. Very captivating from start to finish and got the guests to participate. Infact a lot of the guests joined in without being asked because it was difficult to resist the pull of the music. The atmosphere wad electric. WOW! What a way to start a party!! The dancers were amazing to watch and they soon got everyone up and dancing with them, couldn't have asked for a better start to our night! I am really pleased I chose this group of Brazilian Dancers to perform at my husband's birthday party. They were so gracious and full of energy! They got everyone dancing! The girls were so nice, punctual, and their outfits were exactly what you expect when you think of Carnival in Rio! Brilliant! Highly recommend. The booking process was also very easy! Very happy! Hi Coral, thanks so much for all your help - we booked very last min and it was all sorted in time. The girls were absolutely brilliant too. And amazing that they brought outfit options for us. They were perfect and really brought the show alive. Outfits were amazing too!! Thanks so much! I was extremely pleased with the dancers, they were most helpful and flexible. The Dancers can perform up to 20-30 minutes also including an interactive fun audience participation. When performing with Samba Drummers, Capoeira and Singer or Dancer the show can last longer and be adjusted to the client's requirements. An established LIVE Band is available to support the dancers for a complete full production stage show making the overall performance up to 2 hours. Customers who have enquired for Brazilian Dancers have also been interested in the following Dancers for hire in London, South East. For more information or further options, please call 0845 643 9384.